I just installed elementary os to an old iMac 24inch from 2007( core 2 duo 2.4 ghz, 4gb ram, ATI Radeon 2600 PRO ). It is a beautiful OS, everything working nicely so far. But I noticed an issue when waking up from the suspension. 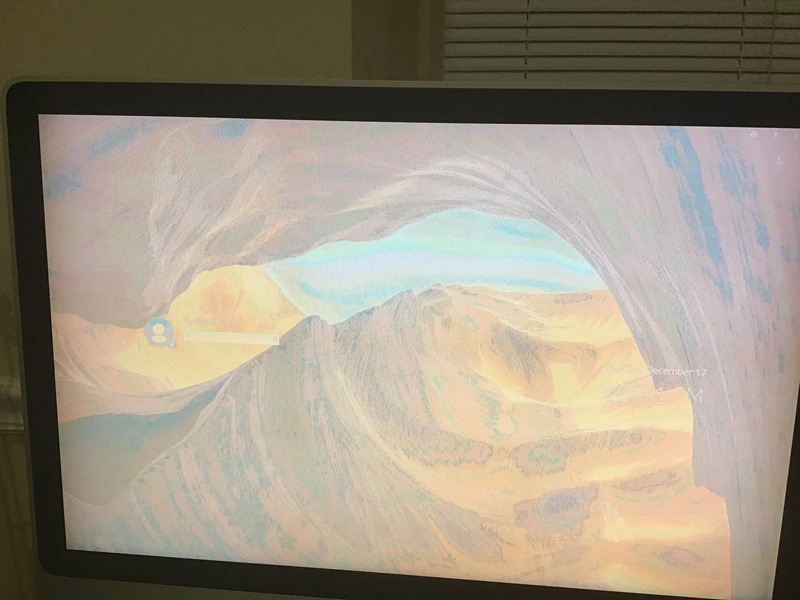 After waking up, the screen becomes faded. Please see the attached screenshot. It looks like it is using only small number of colors instead of full colors available. Please help me fixing this? Sorry, not an answer, but I can confirm this issue. I also have a 2007 24 inch iMac & see the same issue. Perhaps relevant, I also used to face this problem sometimes when the imac ran UbuntuMate. Not the answer you're looking for? Browse other questions tagged display suspend or ask your own question.